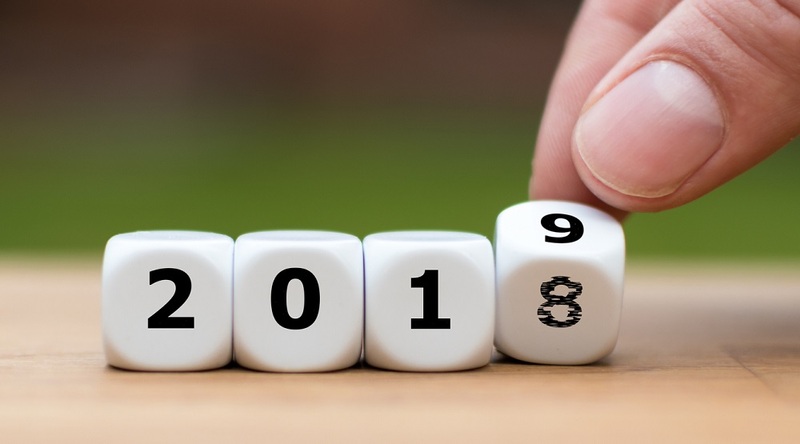 With 2019 now upon us, please join us in taking a look back at the most momentous remote care stories from 2018, as reported here at the Care Innovations blog. 2018 began with a bang, as the Centers for Medicare and Medicaid Services (CMS) officially “unbundled” CPT code 99091 to give eligible practitioners the ability to receive separate reimbursement for certain remote care services. Specifically, the new code allows providers to bill the CMS for time spent collecting and interpreting remotely generated health data. Before this unbundling, the CMS had mandated that certain remote care tasks could not be billed for the same patient during the same service period in conjunction with many of these common treatments, which include certain aspects of chronic care management, transitional care management, and behavioral health integration services. Get more details here. The historic developments for remote care expansion in the United States continued into the next month, and in a big way, as Congress passed the CHRONIC Care Act as part of its 2018 budget bill, with the goal of significantly increasing access to telehealth services nationwide. Short for “Creating High-Quality Results and Outcomes Necessary to Improve Chronic Care Act of 2017,” the CHRONIC Care Act was designed to remove “outdated restrictions that limit Medicare from reimbursing for telehealth,” as the senators who co-authored major parts of the act stated in a news release. With the Act, “access to telehealth services for seniors is poised to take off,” as Bruce Japsen wrote at Forbes. Japsen also called the law a “rare bipartisan healthcare measure.” Click here to read more about what the CHRONIC Care Act — including what it does and does not do here for the extension of remote care. In this white paper, our experts demonstrate the true value proposition of remote care and how it can be leveraged to meet these challenges while delivering more efficient and effective healthcare. You can download your copy here. In April, our experts offered an inside look on what it takes to implement the most effective remote care solution for any given healthcare facility. With decades of collective experience designing and perfecting RPM programs, the team at Care Innovations bring to the table a level of expertise not often found in the nascent world of telehealth development — expertise that clearly shows through in analyses like this. “You want to clearly specify the outcome that you expect so that you can manage to it,” adds the company's Chief Financial Officer, Bryan Pruden. “Once you're in the implementation, you want to make sure that you, on a regular basis, are reviewing the healthier program and that you're continuing to get more operationally efficient in accomplishing those goals you set out in the beginning.” You can read the full article here. The next month, the U.S. government continued its goal of expanding telehealth and remote care availability, as the Department of Veterans Affairs announced a new set of policies to expand the VA telehealth program, in the process overriding state-specific restrictions against cross-border care. The new set of rules removed restrictions preventing certain providers in the VA network from treating patients in other states. It also expanded access to virtual critical care services and introduced a new telehealth video conferencing app for veterans and providers. The new rules were designed especially to benefit veterans "living in rural areas who would otherwise need to travel a considerable distance or across state lines to receive care,” as VA reps stated in an official announcement. Read more here. There was big news in June, 2018, as Roche, an international pioneer in pharmaceuticals and diagnostics focused on advancing science to improve lives, boosted its digital health footprint with the announcement of a strategic partnership and investment in Care Innovations. The partnership was designed to enable health insurance and care providers to offer high-quality therapy management for people with diabetes via Care Innovations’ remote care delivery platform. The announcement included the news that mySugr, Roche's digital diabetes management solutions centered on the world´s leading diabetes management app, was to be integrated into Care Innovations' telehealth platform. “We believe in the benefits digital health and telemedicine solutions can bring to patients and are happy to partner with Care Innovations,” said Marcel Gmuender, Global Head of Roche Diabetes Care. “Last year's acquisition of mySugr strengthened our portfolio and through the partnership with Care Innovations, we will be able to offer comprehensive remote care and substantially expand how optimal care is being provided to people with diabetes in the U.S. and Canada.” You can read the full news release here. So begins an insightful look at what it takes to make a remote care program successful, as written by Care Innovations CFO Bryan Pruden. Bryan goes on to provide additional insight into just what form that strong leadership should take in the pursuit of success. “I believe the common denominator in successful programs is courageous leadership,” he writes. “That courage is not just being bold. The leader of the program must also know when to show restraint. Healthcare changes slowly for good reason, although much more slowly than many of us would like. Regardless, the leaders of the most successful programs know when to push and when to pull back and wait for results. Sometimes you only get one chance to convince the people who need to change.” Read Bryan’s full article here. In its pursuit of a remote care program that can truly extend effective healthcare into remote areas while also improving quality of care for patients and reducing overall costs of delivery, the Federal Communications Commission (FCC) reportedly looked upon the University of Mississippi Medical Center (UMMC) Mississippi Diabetes Telehealth Network as the standard of RPM success. Built upon Care Innovations’ own Health Harmony RPM platform, the Mississippi Diabetes Telehealth Network has accumulated an impressive collection of accolades in the years since its launch in 2014, and is today regarded as a model of how to leverage remote care technology to effectively provide rural areas with high-quality care. So successful has the Mississippi telehealth network been that it’s one of only two locations in the U.S. to receive a Telehealth Center of Excellence designation, as we noted in this report. And because of that designation, the UMMC's network “will now serve as a model as the Federal Communications Commission hopes to cast a wider net and better serve low-income individuals in rural areas,” as MSNewsNow reported. Read more here. On the heels of its extension of reimbursements for remote care delivery in 2018, the CMS announced that it planned on continuing the trend in 2019 with a proposed physician fee schedule that would further expand reimbursement for RPM, virtual visits and other telehealth services. “Getting to the doctor can be a challenge for some beneficiaries, whether they live in rural or urban areas,” CMS representatives said in a statement. “Innovative technology that enables remote services can expand access to care and create more opportunities for patients to access personalized care management as well as connect with their physicians quickly.” Read the full story here. Of the many uses to which forward-thinking healthcare providers and administrators have put remote care in recent years, the realization of truly successful population health management may be the most momentous — and this is particularly true for diabetes, a notoriously costly and pervasive condition. This goal of leveraging technology to enable better solutions for diabetes population health management is firmly in line with the Care Innovations mission, as illustrated by the recent decision of Roche to integrate its European-based mySugr diabetes management app with our RPM technology. To wit, RPM models "can help people to learn how to self support, self manage, or engage with healthy behaviors and track those healthy behaviors perhaps even outside of the traditional clinical model," as Care Innovations Chief Clinical Officer Julie Cherry (RN, MSN) points out in this analysis. Read it in its entirety here. Offering ever-greater levels of interconnectivity and data sharing, along with the operational advantages that go along with them, the Internet of Things (IoT) has become a pervasive force in business. And in healthcare, it has become especially impactful when coupled with RPM as a means to evolve the very concept of care. Accuracy: The power to boost efficiency and enable early intervention is another important byproduct of healthcare IoT. As the medical industry’s means of validating new products, drugs and therapies, clinical trials are enormously important, not just within the industry, but to society in general. Such trials aren’t just the federally approved means to achieve regulatory approval for medications; they also represent the opportunity to observe the real-world effects of medical devices on patients before being introduced on a wider scale. “Yet clinical trials are also notoriously risky, time consuming, and expensive,” our experts write in this article, which then explores how remote care technologies are increasingly being used to meet those challenges. You can read it all here. Impressive as it was in 2018, this trend of groundbreaking remote care stories is sure to continue into 2019. Don’t miss out! Bookmark the Care Innovations Population Health Insights Blog to make sure you’re getting all the latest and great remote care news and insights, as they break. And for more information on how to leverage remote care for your organization or facility, we invite you to contact us here to arrange a complimentary consultation with one of our telehealth specialists.